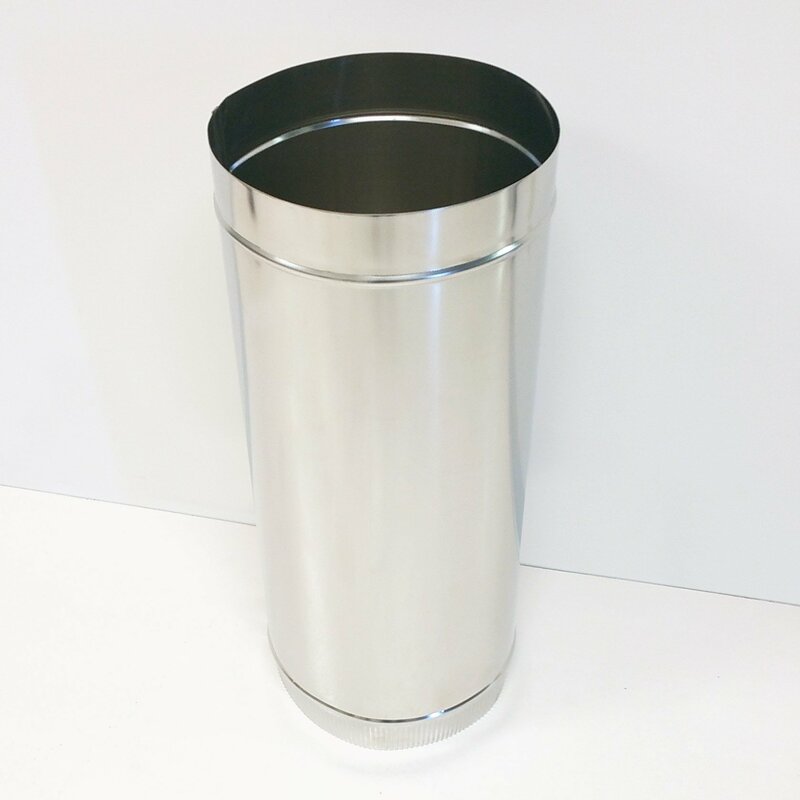 Stainless steel stack pipe, grade 304, mill finish. 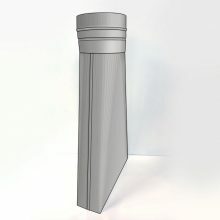 This pipe offers over 10 times the service life of a galvanized smoke stack and meets the food grade requirements for steam stack. These pipes come standard as male on one end, female on the other for ease in connecting as many as you need. 12″ Stack Pipe – Good for use with 3′ or wider evaporator. If you need a size that is different from what is sold on this page, please contact us for a quote. We are happy to make custom sizes to fit your needs. Each time you join two sections together, keep in mind that you will loose 2″ of total height because of the way the sections inter-lock together. For example, after joining two 2-foot sections, the total height ends up being 3’10” (4 feet – 2 inches). If your stainless stack pipe is shipped with a protective vinyl and/or a caution sticker on it, you MUST remove them BEFORE use. 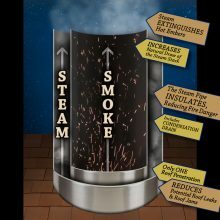 Failing to do so will result in the vinyl/sticker charring to the stainless steel, resulting in a loss of the metal’s inherent beauty. It is easiest to remove the protective vinyl in a warm room. It will not peel off as easily in very cold temperatures. 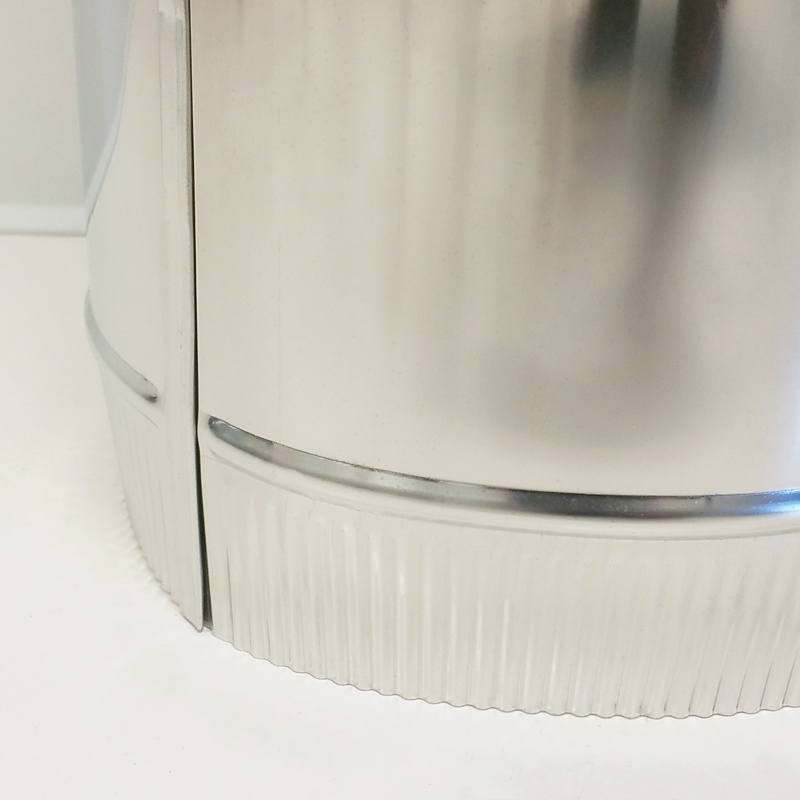 The stainless steel of this stack pipe is not crafted with the same mirror finish as our evaporator pans. Regardless the finish, stainless steel will naturally discolor after it has been subjected to the intense heat of your evaporator. Hence, it is not possible for any stack pipe on a working evaporator to identically match the mirror finish of your Smoky Lake evaporator pans. 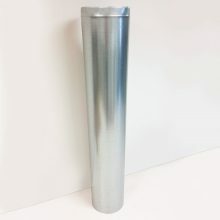 Be the first to review “Stainless Steel Stack Pipe” Click here to cancel reply.